This past school year was our first for homeschooling. As a beginner, I didn’t have it figured out. Although we are not homeschooling this year, I’ve learned some things that I believe would be helpful for other beginning homeschool parents. Some of which I did before beginning homeschooling and others I figured out during the process. If you don’t read up on any tips or have someone to speak to about it before starting, then you’ll be learning what works best as you go along. I hope these tips would be of help to you. 1. Know What Educational Goals You Expect Your Kids to Achieve – Why choose homeschool? What is your philosophy of education? What is your spouse’s philosophy? Even if your philosophy is different, you both will have to come to some kind of common ground when it comes to educating your kids. Know your why. 2. 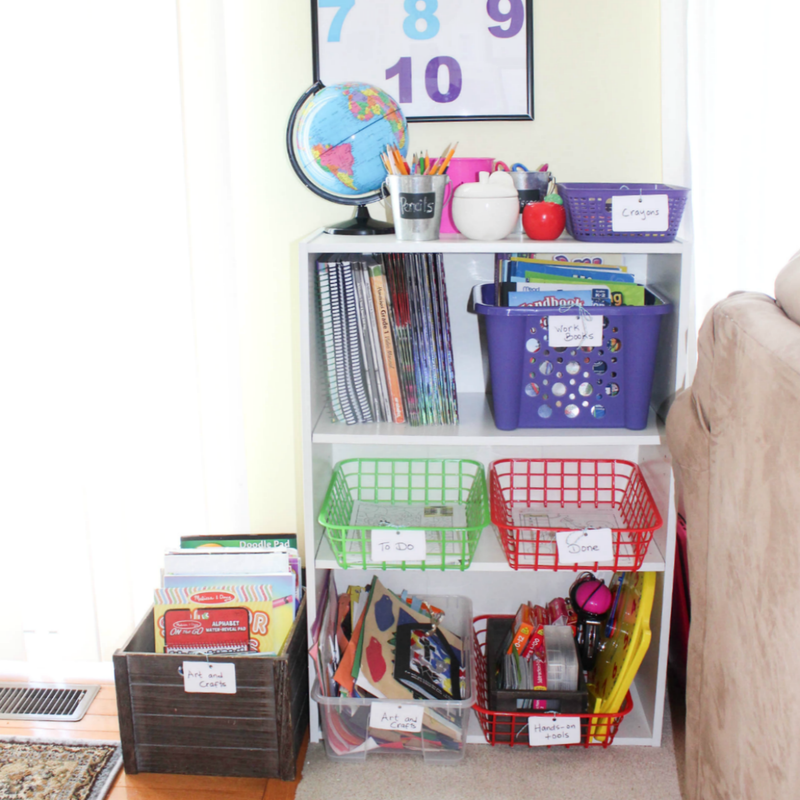 Get the Kids Excited – Kids usually expect to go to school out of the home. After all, they may see the neighbourhood kids or some of their friends attending school or they may have already done a year or few years of schooling themselves. If homeschooling is your choice at whatever point in their education, then come up with some ways to get the kids excited about it too. 3. Figure Out Your Teaching Style and Your Child’s Learning Style – You may have an idea of this even before you start school. In general, are you the kind of person who simply likes to read and explain ideas verbally? Or are you the kind who like to mix things up a bit by adding hands-on activities? How about your child? Is he or she the kind that’s content with listening to verbal explanation or does he or she likes to get involved in all kinds of hands-on activities? If you have more than one child they will learn differently so take that into consideration as well. Plan to vary your lessons to meet each child’s needs. 4. Decide on a Set of Teaching Materials – What type of teaching materials do you want to use for your child/children? Are you going to use curriculum materials from just one publisher for all subject areas or will you combine a variety of teaching materials from various companies (one publisher for math, another for science and so forth? Do some research online and look at the best resources out there to cater for your children’s needs. 5. Order Main Materials Early (curriculum, school books, videos, school supplies) – After you’ve decided on what curriculum you are going to use, order it along with the corresponding teaching materials and student materials early. Give yourself about 4-6 weeks before you plan to start school. 6. Review The Curriculum Way Before School Begins – It’s helpful to review curriculum and all the related materials 2 to 3 weeks before the beginning of school. That way you will get a feel of what you need to do instead of trying to “wing” things when school begins. 7. Plan Lessons Ahead – There is a reason teachers have in-service the week before school starts. They have to be back on the job planning their classrooms. That usually includes reviewing the curriculum, planning lessons, decorating their classrooms, setting up work and paper stations, etc. They need to be prepared for when a “school” of kids come flooding through their classrooms bright and early when school starts the following week. Homeschooling is not that much different when it comes to preparation, that you are teaching from home. 8. Plan Some Object or Hands-On Lessons – Plan to make homeschool fun by adding in some object or hands-on lessons. While it may be easy to just go through a book, read and explain concepts it’s always fun to learn by “doing”. In fact, so many kids learn from getting involved in the lessons. These could doing things like going outside to observe insects with magnifying glasses for a science lessons. It could include sorting and counting fruit for a math lesson or cook something together and have them measure the ingredients for math. Take a field trip to a museum for a history lesson. The possibilities are endless and does not have to be complicated. 9. 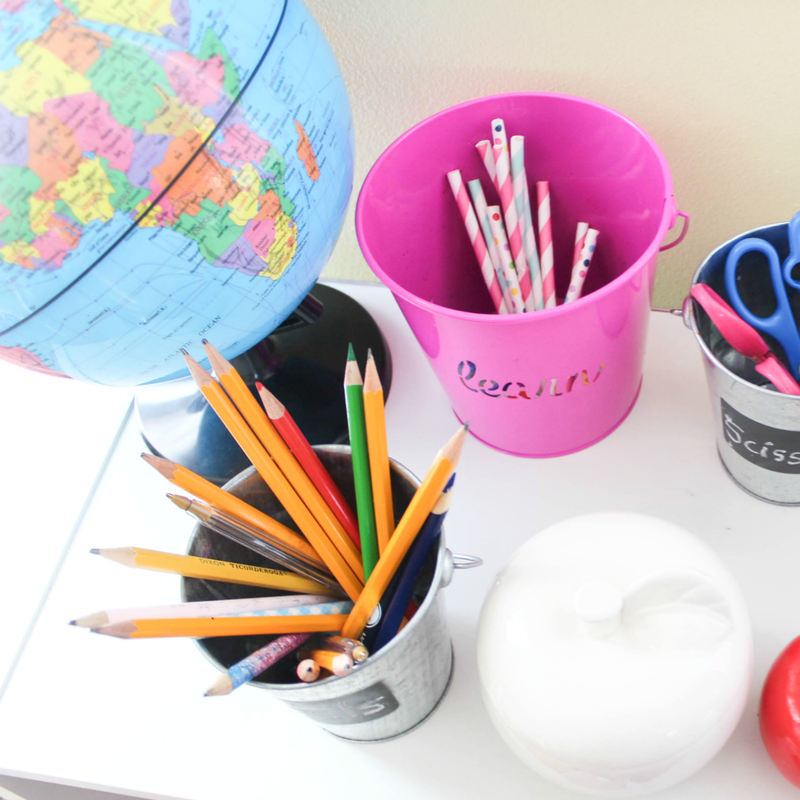 Designate a School Area – It is essential to have a place where the kids can do their work (you can view my post about our designated spot(s) here). Will school be done on the kitchen or dining table? 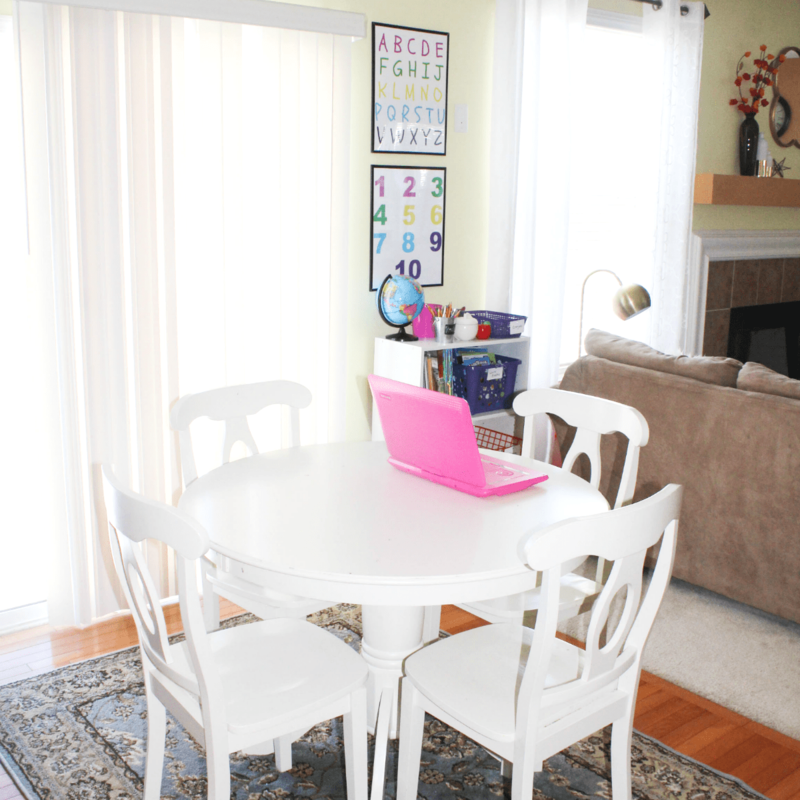 Or will you design a separate school room for homeschooling? Will it be a combination of places? Even if you plan to occasionally take your child or children outside or at library or other outdoor areas for school, you still have to have an idea of where school is going to be regularly conducted. Personally, we started off in the school room but ended transferring to the kitchen since that seemed to work out better for all of us. 10. Create a List of Activities for Your Other Non-Schooled Children – If you have non-school age children in your home you may wish to create a plan to keep them occupied while you teach. 11. Develop a Solid Routine – Children thrive on routine. Developing a solid routine will help the children transition from one activity to the next. As an example, will they eat breakfast, then clean-up, then read? Will you read to them while they eat breakfast daily? How will you prepare them for the day of school ahead of them? Think about how you will cut down on the morning chaos by developing a solid routine they can adapt to. Note about routines: But remember, it’s ok if you try something that doesn’t work and you have to tweak it. It’s also not about having the kids follow a routine to the “T” either. It’s more about having a system in place to help guide you and them and to help schooling go more smoothly. It’s OK if things need to be tweaked every now and again to find what is the most helpful. 12. Seek Community – The one thing I realized about Homeschooling is that it is helpful to have a few people who can motivate you to keep going. I didn’t do a have much outside support when we started except for a few people here and there who said, “Oh, I know some friends who homeschool their children”. How are you going to get some support as you go through the school year, Lord willing? How will you help your child/children to have interaction with other children? Many homeschooling families join Co-ops to help them get the support they need. They typically meet once a week in some established building and have classes and activities that the kids can do. Moms usually help out in whatever areas needed to help keep the Co-op going. You can teach a class if they have an opening, or volunteer at lunch or hall-way monitoring, etc. The kids can take a lesson at the Co-op (music, art, science, math, etc). If you don’t do a Co-op, you may be able to do other things like sign them out for outdoor classes or library meet-up, etc. We didn’t do a Co-op when we started but we enrolled the kid (s) in private Ballet/Tap and Swim/Gym meet for other homeschoolers at the local Community Center. Both of these were once a week at different semesters. It was not much but it got the kids interacting with others. Community building and strengthening is very important. While there maybe a ton of other ways to prepare for homeschooling, I found that these are some of the ones that helped (or would have helped) us the most. 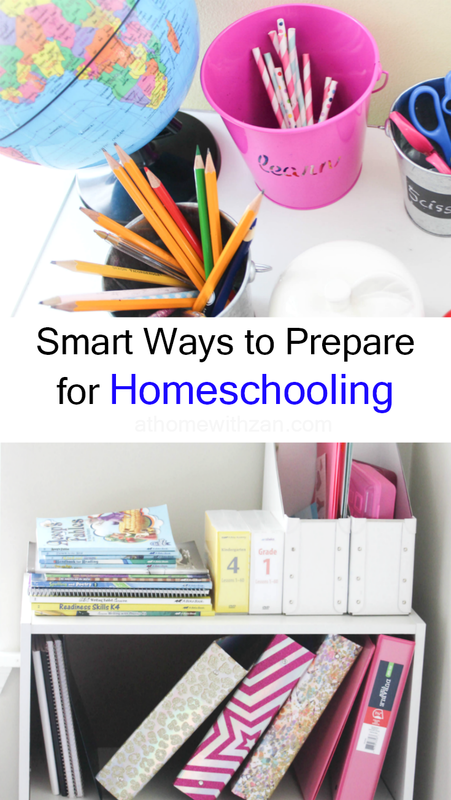 I hope these tips help you in preparing for homeschooling. Having the teaching materials early enough and going over the materials really is great and will save you from “the last minute” scrambling. 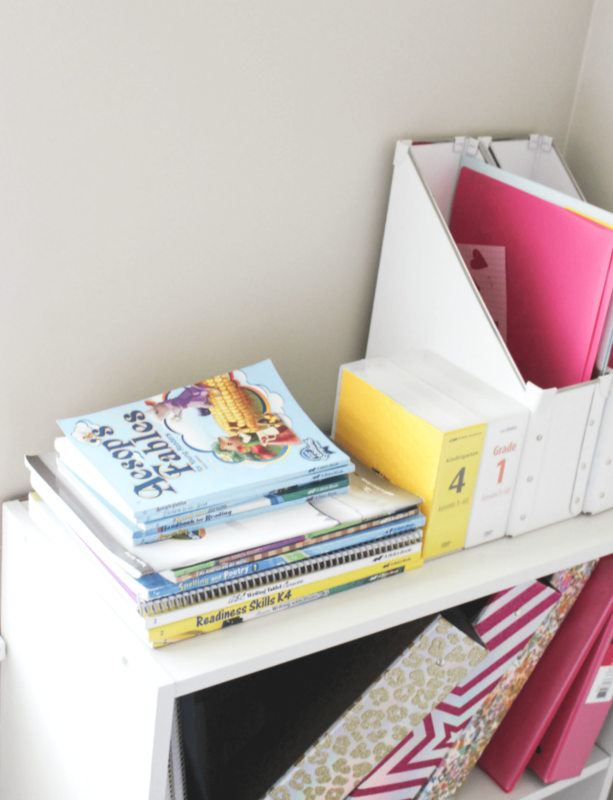 Are you planning on homeschooling your child or children or do you already homeschool? What are some other tips that really helped you as you prepared?